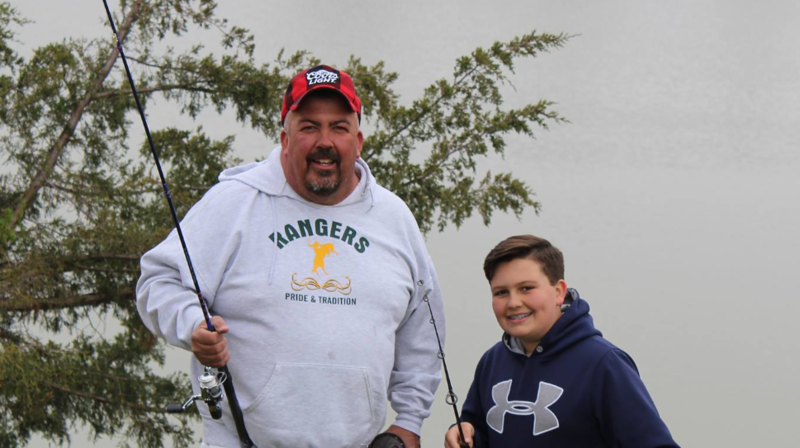 Obetz will be hosting its Fourth Annual Trout Fishing Tournament at Dixon Quarry on Saturday, April 6th, from 9:00 a.m. to noon. Participation is FREE! Adults and children are able to fish, so be sure to bring your friends and family. You can enter as an individual or as a team of two. There will be prizes for the most trout caught and the longest trout caught. You can take home all of the trout you catch—all other fish are catch and release. Registration is the day of the tournament between 8:15 a.m. and 9:00 a.m. at the Dixon Quarry Pavilion located at 4400 Industrial Center Drive. Dixon Quarry is located behind Vance’s on Alum Creek. The main entrance is the only access point for the pavilion and is on Industrial Center Drive. The second entrance is accessible through Vance’s parking lot (you cannot get to the pavilion through this entrance).